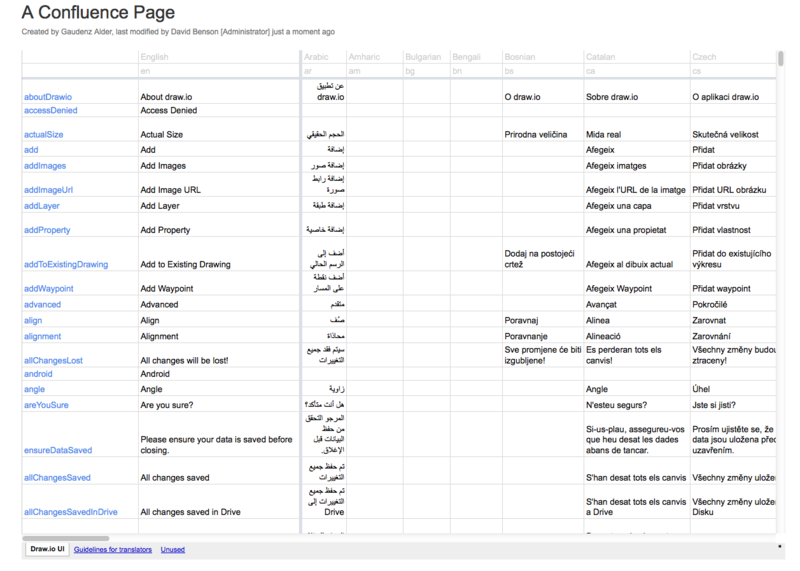 If you are like most companies using Confluence Cloud, you also have documents, printables, images, videos, and perhaps even draw.io diagrams stored elsewhere that you want to include in your content. 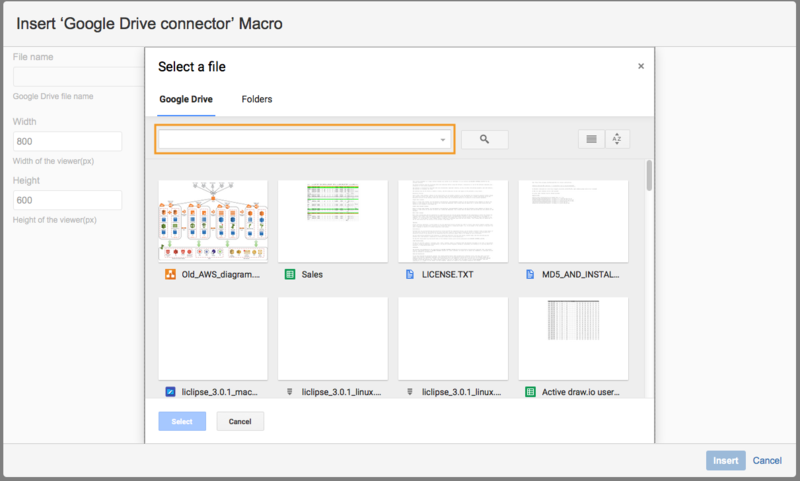 The free Google Drive Connector app for Confluence Cloud makes it much easier to embed the files and media you have stored in Google Drive and Team Drive into your Confluence content. Cloud-based document and media storage is becoming more common, and Google is one of the leading services that companies are actively using. Confluence Cloud is ideal as a central knowledge base. You and your colleagues can collaborate and communicate, and you don’t need to worry about the tech support issues that can occur with on-premises installations, like Confluence Server. The Google Drive Connector app only makes sense with Confluence Cloud because Google Drive is a cloud-based service! First, install the Google Drive Connector app in Confluence and log into your Google Drive or Team Drive account. The app uses your existing browser login to access your Google files. That means that you can only select files that you have permissions to view, especially if you are using Team Drive within your company. Instead of having to fiddle around with copying and pasting URLs, the app’s macro lets you pick the files or folders you need in an easy-to-use file selection dialog. 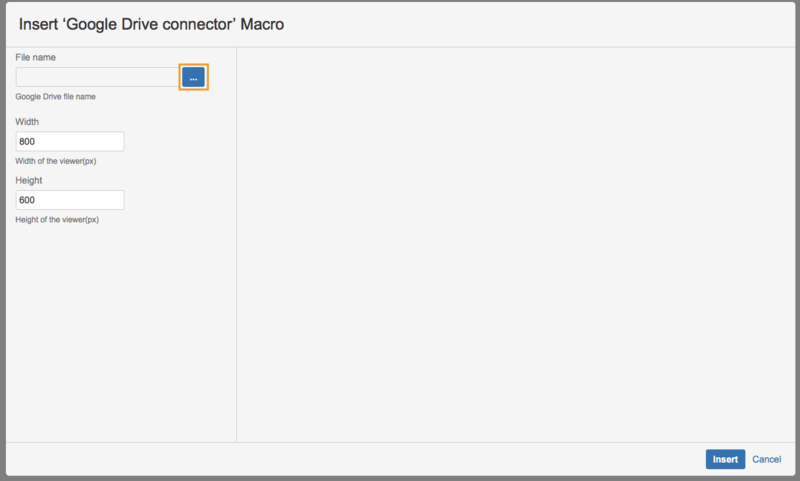 You can insert this macro on any page via the + (Insert more content) button in the toolbar, then select Google Drive Connector. Click on the macro, then click edit to open the macro editor. Click on the three dots (Browse) to open the file selection dialog. You can navigate to and select the file you want to embed from the list, or filter your files with the drop-down list. As forms aren’t a file type, enter type:form into this field to list only forms. To search for a file, enter its name in this field (with the drop down arrow), then click the magnifying glass to search. You can search for both files and folders. Once you have selected the file, click Select. You’ll be returned to the Edit macro dialog and you will see a preview of the file you want to insert. Click Insert to add it to your page. When you save your page, you will see a preview image of the file hosted in your Google Drive or Team Drive, and it is automatically linked to the file itself. You can change the height and width of the preview by editing the macro properties. In the examples below, you can see an embedded spreadsheet, and an embedded draw.io diagram. You can still use draw.io via the Google Drive Connector app, even if you don’t have a draw.io license for your Confluence instance! Important: You should only choose this approach when you don’t need to track changes made to your diagrams and files hosted in Google’s Cloud. 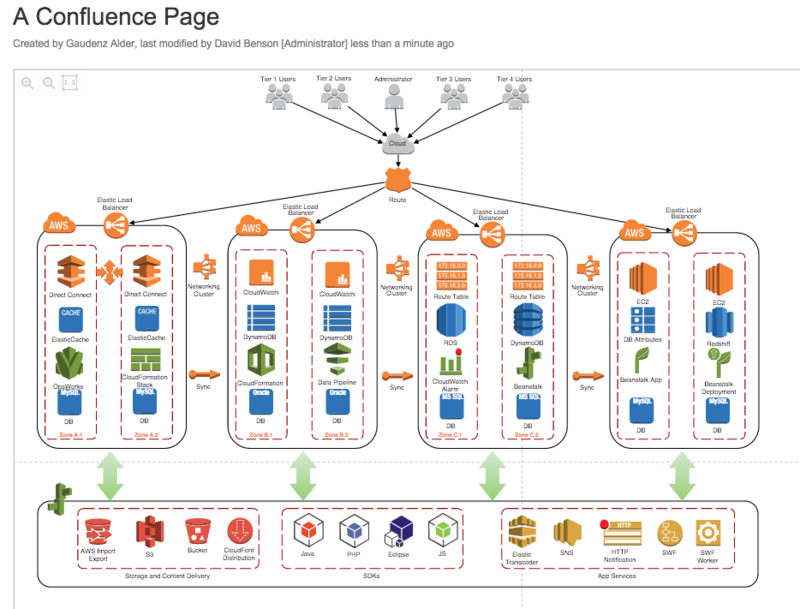 The draw.io app for Confluence Cloud (and Server) is fully integrated, and all diagram revisions are saved in Confluence’s page history. Read more about why version control is important for both text content and diagrams. 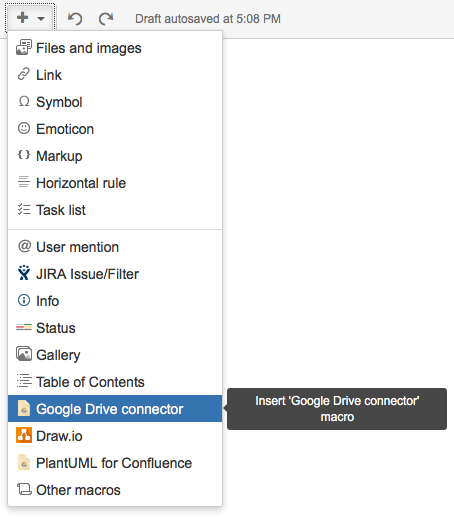 You can download and install the Google Drive Connector for Confluence Cloud today, from the Atlassian Marketplace. We hope this app makes your lives easier as you work in both Confluence and Google Drive!